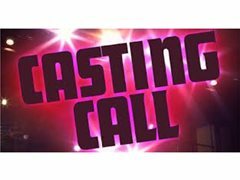 ITV STUDIOS ARE LOOKING FOR PEOPLE TO TAKE PART IN THEIR RETURNING DAYTIME REALITY SHOW. NO EXPERIENCE NEEDED AS WE ARE LOOKING FOR REAL PEOPLE. LIVELY AND ENTERTAINING PEOPLE WITH REAL STORIES!!!! FANCY BEING ON TV? **We're looking for lighthearted cases, arguments, disputes, losses etc** Did your friend ruin your tan? Did you lend money to someone? Has someone lent you money and you've not repaid it? LET US KNOW NOW!